A recent research study has found that broken bones can lead to widespread body pain. 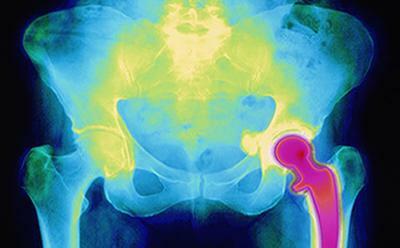 Researchers found that spine and hip fractures increase a person’s risk of experiencing long-term widespread pain compared to people who had no fractures. The causes of chronic pain are not well known and this study is the first to reveal a link between previous fractures and the development of chronic pain. Since chronic widespread pain is so common and can lead to substantial health problems and disabilities, we are hoping that this new link between fractures and chronic pain can help physicians reduce the risk of chronic pain after a patient experiences a fracture. Previous studies have confirmed a link between traumatic events and chronic widespread pain but this is the first study to link skeletal fractures to chronic widespread pain. This study has led us to think how other factors such as diet, lifestyle, body build and psychological health can affect these individual’s pain. This study illustrates the important role of musculoskeletal triggers for chronic widespread pain. Our lab is currently exploring closely how musculoskeletal injuries affect a person’s chronic widespread pain. For more information please contact us at 352-265-8901 or at painresearch@medicine.ufl.edu.